Thinkful is a new type of school that brings high-growth tech careers to ambitious people everywhere. The company provides 1-on-1 learning through its network of industry experts, hiring partners, and online platform to deliver a structured and flexible education. Thinkful offers programs in web development and data science, with in-person communities in up-and-coming tech hubs around the U.S. To join the Thinkful network visit thinkful.com. More jobs at Thinkful Inc.
Want to get notified about new jobs at Thinkful Inc.? 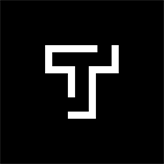 Data Analytics Course Mentor at Thinkful Inc.